Skye Gravestones | Malcolm & Anne (Bethune) Macinnes, d, Marion. Malcolm & Anne (Bethune) Macinnes, d, Marion. 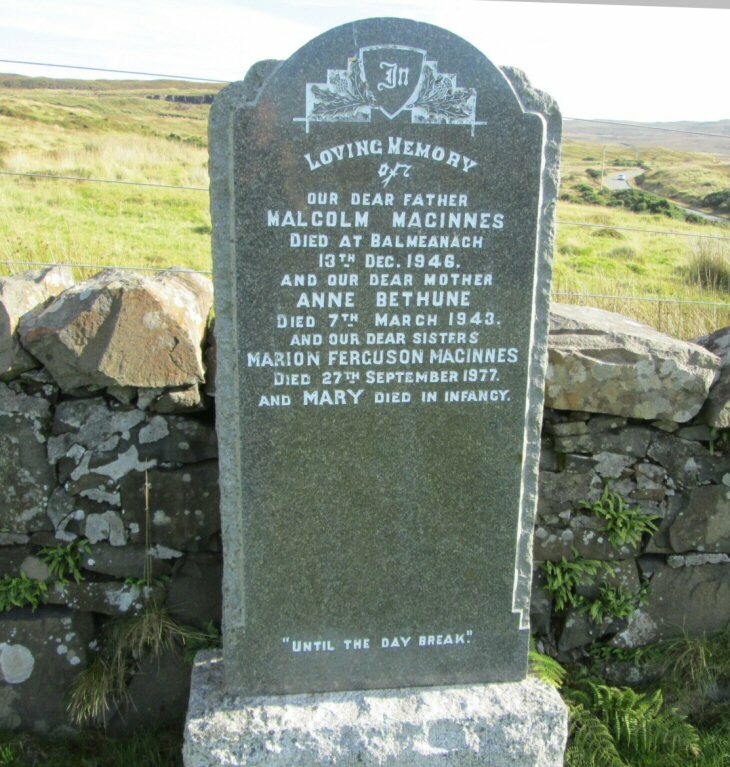 In/loving memory/of/our dear father/MALCOLM MACINNES/died at Balmeanach/13th Dec. 1946/and our dear mother/ANNE NETHUNE/died 7th March 1943/and our dear sister/MARION FERGUSOn MACINNES/died 27th September 1977/and MARY died in infancy. Picture Added on 17 January 2014.